Good Mail is all about putting a little more good into the world. Featuring diverse voices and styles, Good Mail cards make connecting with others easier and more fun than ever. 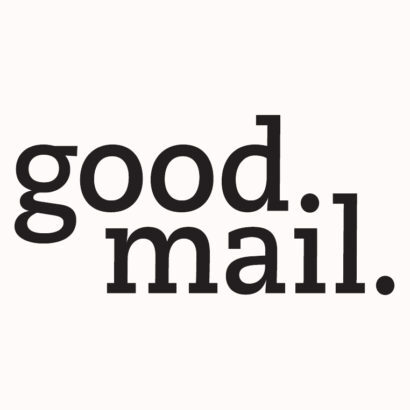 Created in 2019, Good Mail is an all-new curated assortment of cards created by diverse artists featuring a variety of styles, and voices to address today’s relationships. The card line aims to put a little more good into the world – adding fun and positivity to giving cards. The Good Mail card line encourages people to reach out more often and let others know they matter. With trend-forward design, an authentic voice, and a positive vibe, Good Mail appeals to consumers with an indie spirit looking for unexpected ways to connect and make the world a kinder place one card at a time. Good Mail cards are printed at the Hallmark manufacturing facility in Lawrence, Kan. right in the heart of the U.S.A.
Good Mail will be available at Hallmark Gold Crown® stores nationwide, online at Hallmark.com and wherever Hallmark products are sold beginning summer 2019. Use the store locator on Hallmark.com to find the nearest retailer.